a saturday smile: Welcoming white. The good thing about using a lot of white paint and fabrics in a room is that it makes just about any other color really pop. If you don't have a lot of collectibles and want to display just a few pieces, putting them a white room will showcase them beautifully. For me, white always feels clean and crisp. 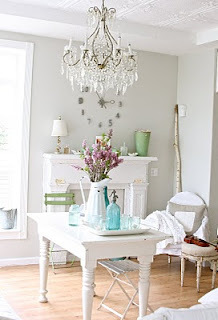 It's also a perfect starting place for redecorating. 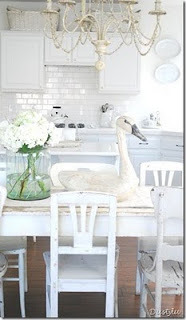 If any room should be white, it should be your kitchen. I saw a white wooden swan exactly like the one in this picture at a garage sale yesterday. I'm kicking myself for not picking it up. 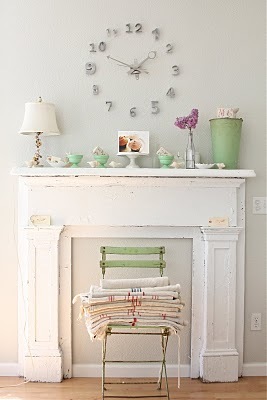 You can pick up old mantles like this one at flea markets for just about nothing. Architectural pieces like this make great shelving units or display pieces. They don't always have to be functional, but rather always beautiful. Hanging drapes or curtain panels in doorways is a brilliant idea. When rooms become to hard edged and masculine, fabric is the quickest and easiest way to soften them up. There is something really elegant about the way this looks. Save room by removing doors and using curtains for privacy. 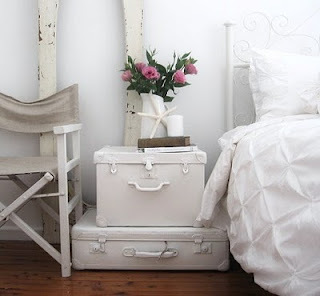 I've been collecting vintage luggage for a while now and love the way they looked stacked in the corner of a room. Painting them one color really unifies them as one piece. 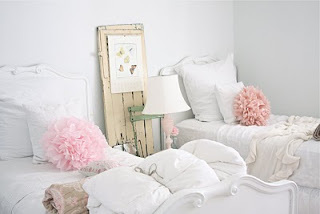 I love this coverlet as well. 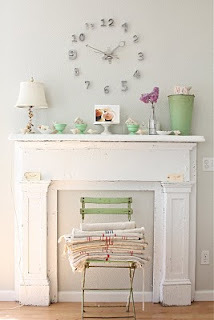 Shabby Chic makes a very inexpensive home linen line for Target. They make adorable bedding, window treatments, and bathroom linens that have ruffles and puffed stitching. 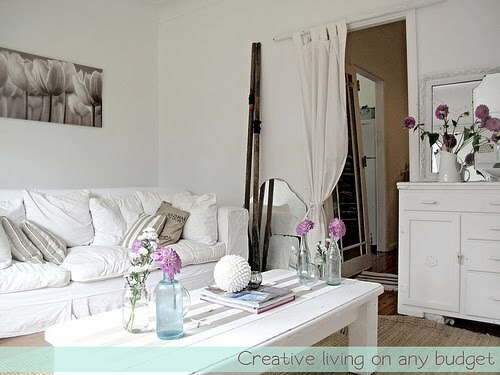 Again, billowy fabrics are extremely luxurious feeling and welcoming. I've never met a down comforter I didn't like.